As I mentioned a few days ago here I've only recently discovered this, the first in Fowler's series about detectives Bryant & May and their adventures. 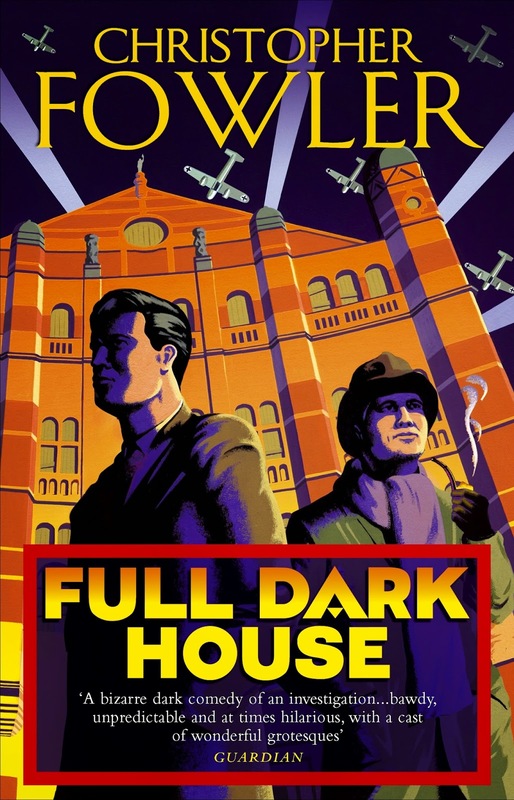 Inspired by watching TV series Foyle's War, I was keen to find some detective fiction set in England in World War II, so this was very much a stab in the dark (ahem...) as I had never come across the authors work before. The duo work for the Metropolitan Police's little known Peculiar Crimes Unit, an underfunded department thought of by many as a dumping ground for the more irritating or nonsensical crimes that plague London. At the book's outset, one of the detectives is killed in 2003, and his desolated partner of over half a century sets out to discover the perpetrator of the crime. We are soon taken back to London during the Blitz in 1940, to the duo's first case together, which seems to have some bearing on the modern murder. The 1940 part of the story is set in a London theatre where a series of murders plague a new production that is set to shock the city. The scenes depicting London in both eras are wonderfully atmospheric, and though I can't speak to the depiction of wartime London personally, the scenery of early 21st century Camden is spot on. The author's device of representing the main characters in their early twenties at one moment and then in their eighties the next, is cleverly utilised and gives the reader a great sense of the character's personalities and motivations. There is also a refreshingly humorous side to the author's delivery that does not detract from the tense expectation and drama of the genre. The murder mystery element itself is very well constructed with the obligatory twist in the tail being beautifully executed. This is a great read and I can't wait to get into more of Bryant & May's adventures soon.